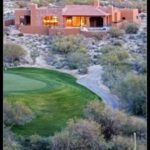 What we do know is that the Tucson and Southern Arizona single family real estate market has taken a significant downturn and has been depressed for quite some time. Plus, prices have dropped below replacement cost in many cases. Historically, these have been strong buying indicators and today is no different. 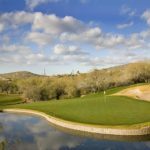 Strong market opportunities in Southern Arizona have attracted mom and pop investors looking for good deals. As a result of this interest, improving economic conditions, the homebuyer tax credit and normal market cycles, the number of residential properties on the Multiple Listing Service (MLS) has started to drop. Additionally, auction prices have been increasing and buyers are paying more for properties today than seven or eight months ago. Conversely, prices for pre-foreclosed homes (short sales) or that are bank owned (REOs) have not yet begun to rise. The improving conditions and the appearance of stability have also led banks to begin pushing more of their foreclosed properties onto the market. Notice of a foreclosure sale is published 90 days prior to the auction. The sheer volume of listings often makes it difficult to look at all of them. Some will have curing action taken or removed due to a short sale prior to the auction. Usually, the day before the auction the trustee who represents the lender will publish the bid price, according to Arizona law. Once the bids have been published, you have a few hours to complete the title work, tax research, lien check, easement issues and any other needed due diligence. You also want to inspect the property, or at least drive by to estimate what kinds of repairs are needed. The proper market valuation needs to be calculated in that same timeframe. Any funding needs to be in place so you can pay in full by 5:00 p.m. the following day. 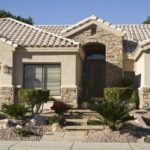 Timing is one of the biggest differences between investing in Tucson distressed properties versus buying real estate under more traditional blue water circumstances. There is much more time to complete the due diligence process in a blue water deal, and usually there are far fewer potential issues or problems with the properties. Evaluating distressed deals requires knowing what to look for ahead of time. You need to be careful and understand what you’re really buying, or you can end up getting stuck with a bad deal or property with issues too costly to fix. In a blue water deal, buyers have time to hire an inspector, rely on the title company to conduct a thorough search and have ample opportunity to tour the property inside and out. All these steps need to be completed within a few hours on a foreclosure sale, and the buyer is usually unable to tour the inside of the property.